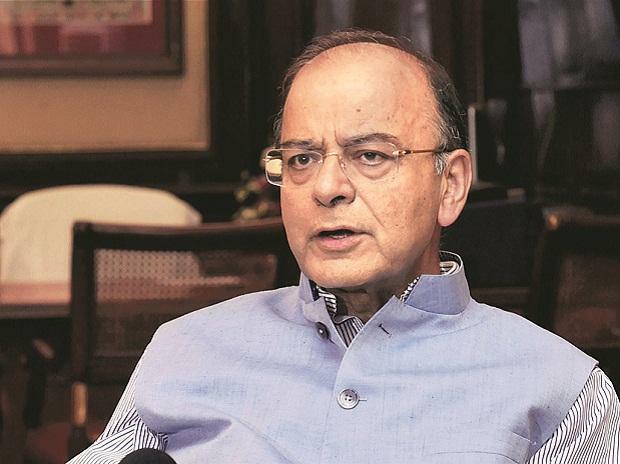 Union Minister Arun Jaitley Sunday rejected criticism of giving a 'jobless economic growth', saying the absence of any major social or political agitation in the last five years indicates government schemes have created employment. In an interview to PTI, Jaitley, who is here for medical treatment, justified the absence of any major mention of job creation in the Interim Budget presented on February 1, saying such budgets are different from the normal budget speeches as they are more like "a report card and a road map." "Why is it that India, in the last five years, hasn't seen a major social or political agitation? If there is no job creation, there will be discontent. Where is that visible?" he said. Rout of incumbent governments is a foregone conclusion when such discontent is there but during current times the opposition parties are teaming up because they know they do not stand a chance otherwise, he said. "Normally, outgoing governments in such environments, their rout is predicted. But today political rivals want to come together because they know for anyone of them it is not possible to take on Prime Minister (Narendra) Modi and his party," he said. Jaitley said it is not as if "suddenly in five years the productivity levels in India have gone up that all organisations are now running with half their staff. The empirical evidence is to the contrary." There is controversy over a leaked official report putting unemployment rate at a 45-year high in 2017-18. "I have been asserting from day one that it (GDP) has to increase after demonetisation. There was no settled global model on what happens post-demonetisation, there were no studies and therefore a former Prime Minister (Manmohan Singh) made a statement that there will be a 2 per cent drop. And everybody else accepted this as a prediction of a prophet of doom," he said. Demonetisation, he said, compelled people to deposit almost their entire cash, or 86 per cent of India's currency, into banks. This meant that many cash transactions that previously went unrecorded for the purposes of GDP came on record. "In the earlier eras, when we used to speak of parallel economy, one of the concerns was that the parallel economy doesn't reflect in the GDP. Therefore, when all were compelled to deposit 86 per cent of India's currency into the banks, and now had to use cheques and credit cards for the future payments, the number of digital and banking transactions increased." He noted that money deposited in banks went to mutual funds, from there they were channelled to NBFCs, real estate sector, automobile purchase and more capital expenditure. "Transactions now emanating from that deposited money became recordable transactions. The anonymity attached to the owner of cash was gone. Now the owner of the cash was identified," he said. Jaitley, who was the finance minister when old 500 and 1000 rupee notes were scrapped overnight in November 2016, said except for a quarter or a little more, the long term impact of the move on GDP was visible due to the deposits being made in banks and more formalisation of the economy. "But since there was no global model, off the cuff statements were being taken as comfortable predictions. It was a bandwagon effect where everybody started speaking without thinking. And now the proof of the pudding is in the eating," he said. Former prime minister Manmohan Singh had previously stated that note ban had shaved off up to 2 per cent from the GDP growth because of closure of cash-dependent small and marginal businesses. Jaitley said the GDP estimates are only estimates but tax collections are real. "Tax comes only if people earn more and spend more. If post-demonetisation, in the FY 16-17 and FY 17-18, your tax collections rise from 15 per cent to 18 per cent annually, more than the normal range, obviously this indicates an expansion of the economy," he said. India's net GDP increase in the last five years is estimated to have averaged 7.6 per cent. "That's real GDP. The nominal GDP will be 7.6 per cent plus inflation. This will take you closer to 12 per cent. If you have a 12 per cent annual nominal growth for five years, which compounded annually constitutes the fastest growth in five years in any global economy, forget economic principles, it defies even common sense of a lay citizen that a 70-75 per cent expansion in the economy doesn't create a single job," he averred. Asked about the 2019 general elections, he said, "The agenda will be Modi vs chaos." "We are already seeing two interesting factors. One - there are no real issues. Only fake issues are dug up. Rafale was the first fake issue. Loan waiver of 15 industrialists is the second fake issue. Not a single rupee of anyone has been waived. Third, the EVM is a fake issue. "So if the opposition has to rely on fake issues, it is issue-less," he said, adding there were multiple aspirants for prime ministership in the opposition grand alliance. Some of the aspirants, he said, have "low level of understanding of public issues as the public discourse has shown and some have a scandalous record at governance." "Eventually, India is a very alive and alert democracy, very aspirational society. So whether we want a government of an unknown ideology, an unknown leader or leaders who may scare people away from voting for them, or we want a tried and tested government which has taken India's governance to a different level. So the test is going to be Modi vs chaos and I think this is all converging in that direction," he said. The second choice people have to make is whether they want a five-year government or a six-month government because "these non-ideological opportunistic coalitions don't have longevity", he added.